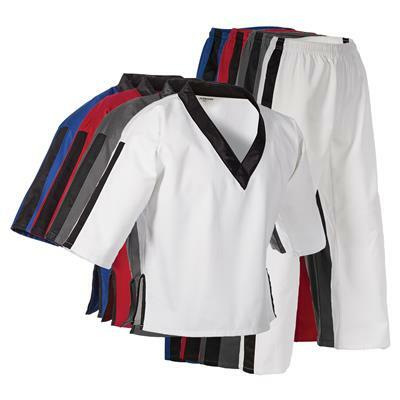 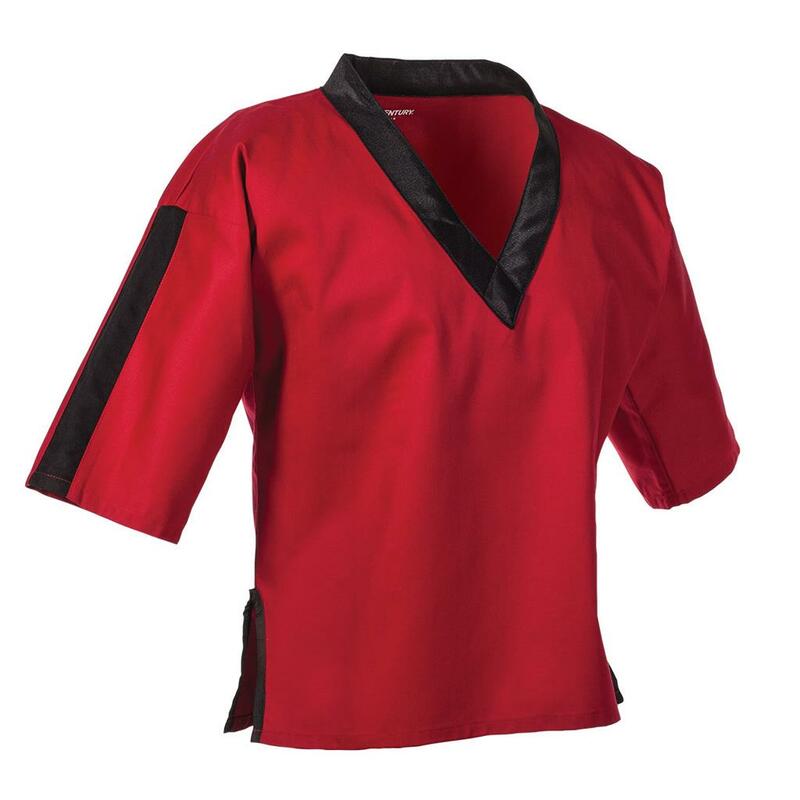 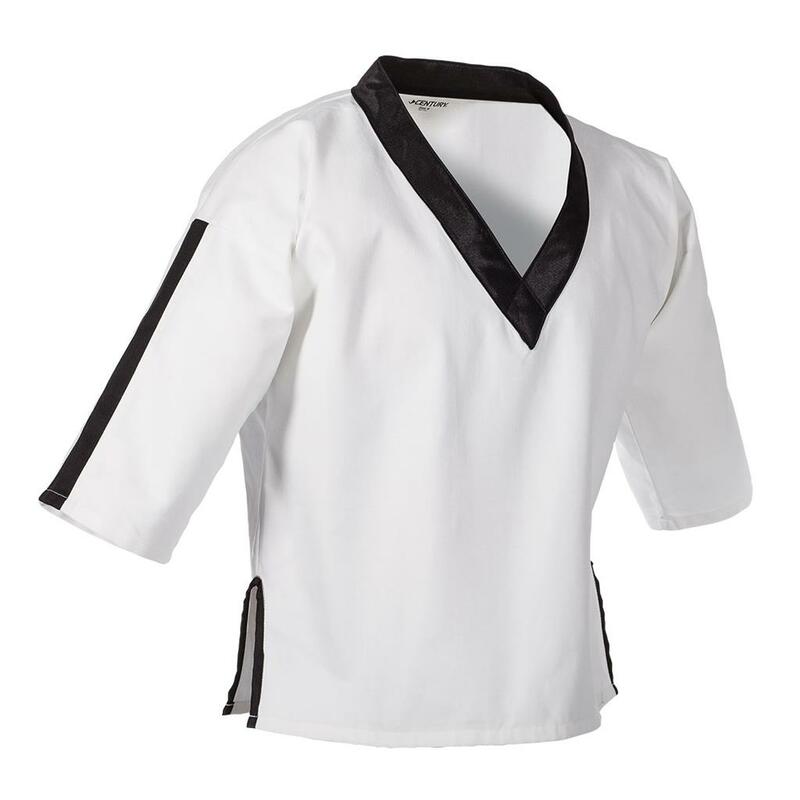 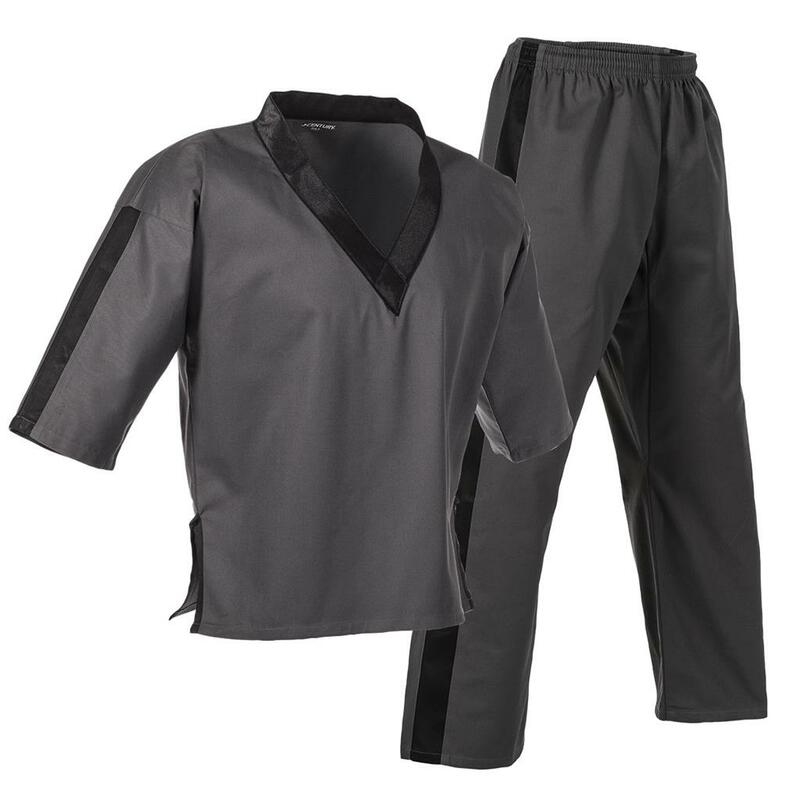 This middleweight, pullover style uniform is made of breathable cotton-polyester fabric with a V-neck design and black stripes that run down the sleeves and legs. 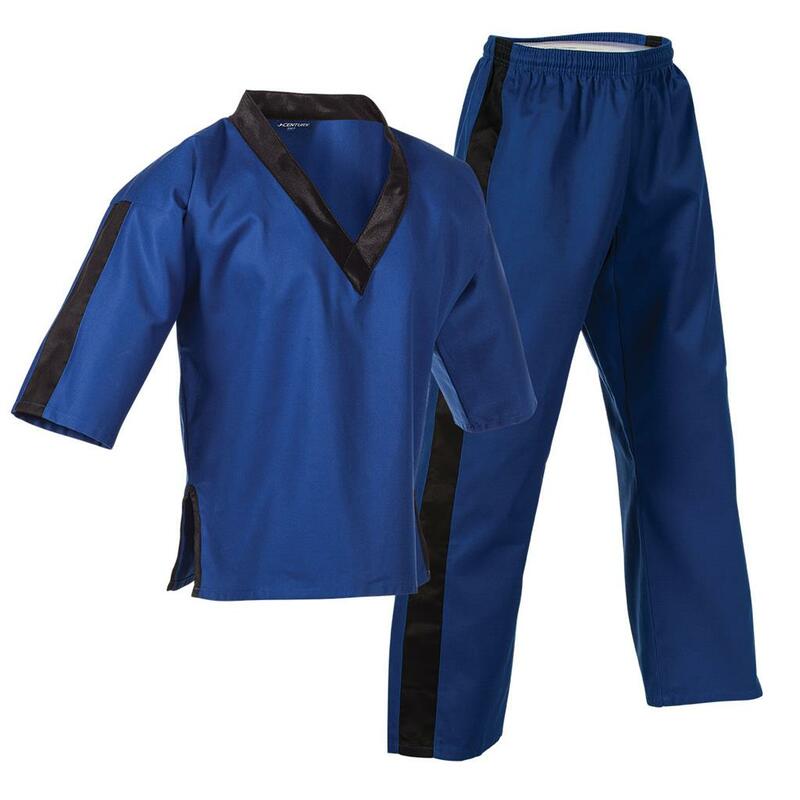 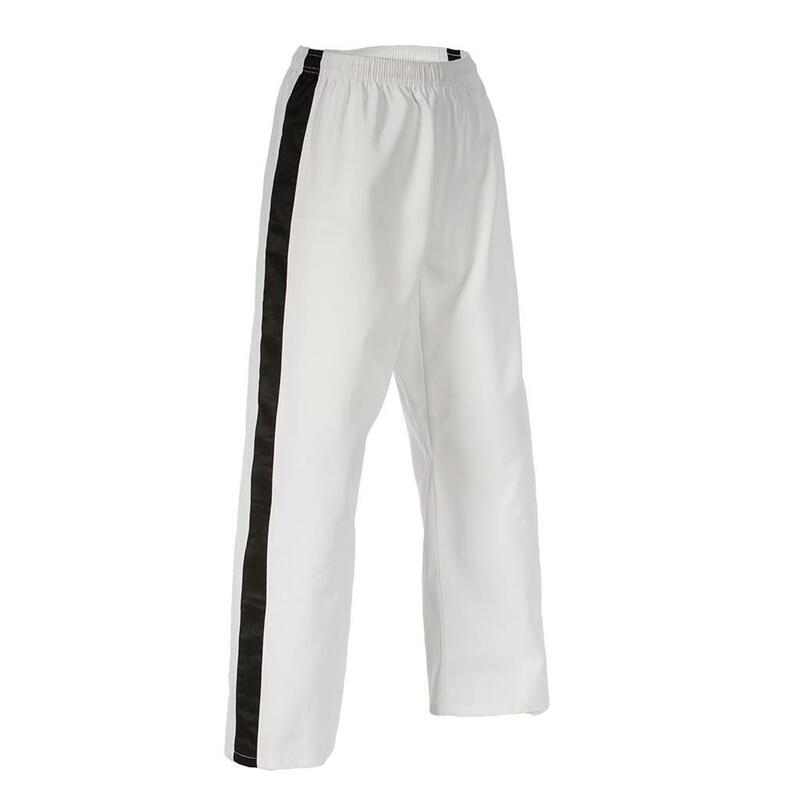 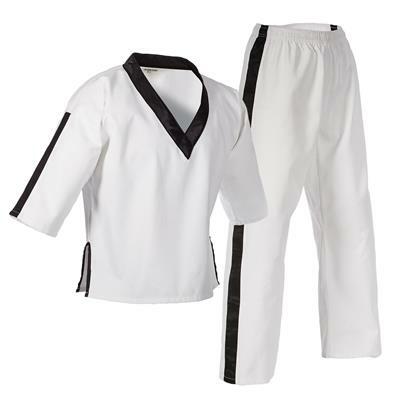 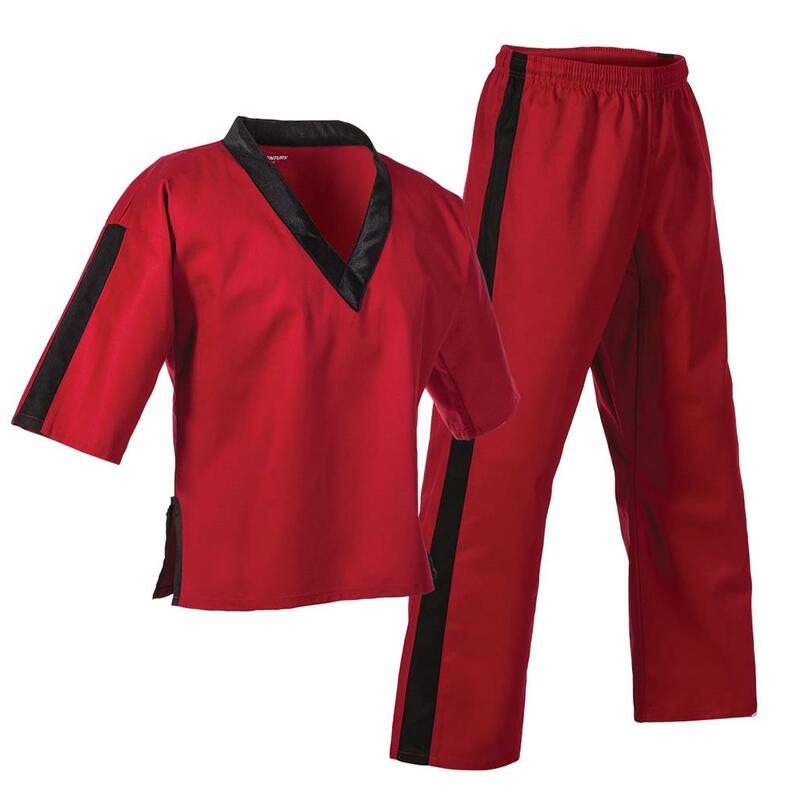 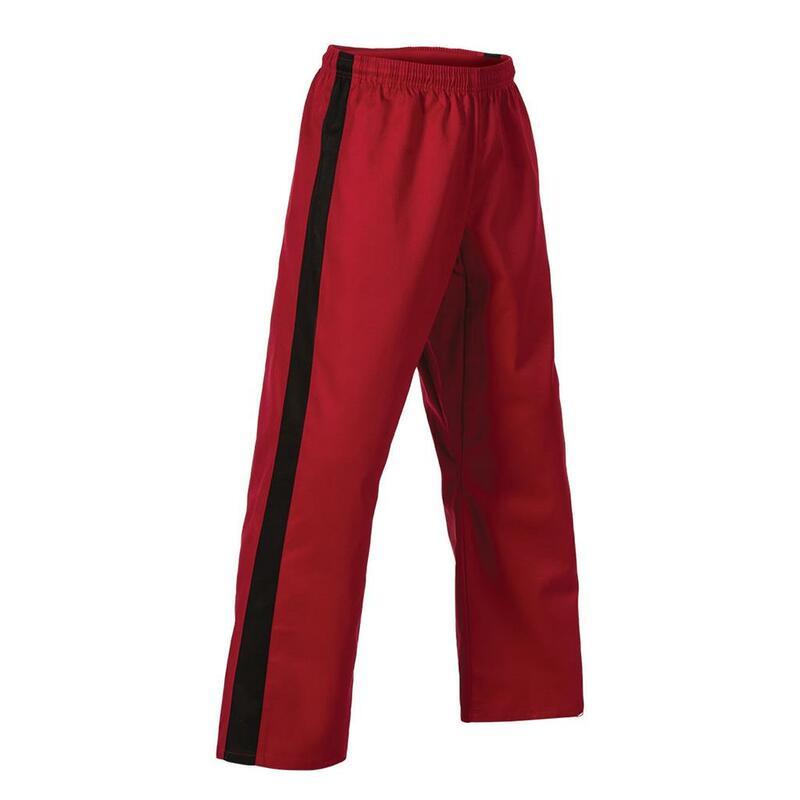 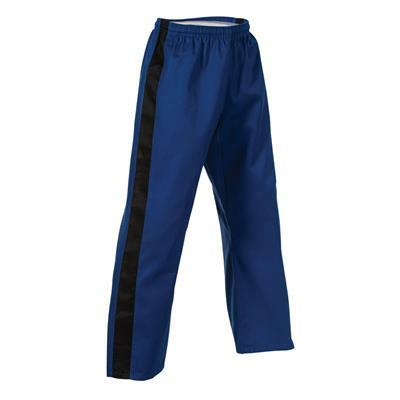 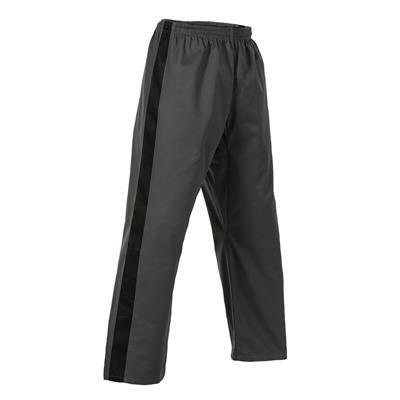 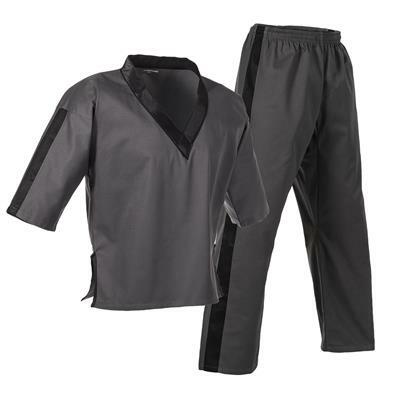 Elastic waist pants with internal drawstring provide a secure fit. Imported.